Installing modern insulation is one of the most cost effective and environmentally friendly things you can do for your property. Approximately 65% of properties are poorly insulated and by upgrading you can reduce your heating and cooling bills by about 30 percent with proper insulation. American Geothermal ensures that whenever we install a geothermal pump to your property that the quality of the materials we use means that you will get maximum benefit from your new installation for both heating and cooling. These days, insulation is made with everything from newspaper and sheep's wool to cotton and chemical foams. 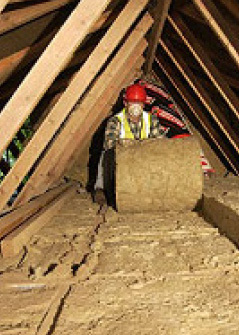 Many are far more eco-friendly than their predecessors, including formaldehyde-free and recycled-content insulation. Even fiberglass, that old standard, has improved environmentally. However, spray foam is one of the best insulating materials known to man and it often results in payback and savings on energy costs. Spray Foam can often eliminate the need for other materials, labor intensive tasks, and possesses characteristics that competing materials just don't have. 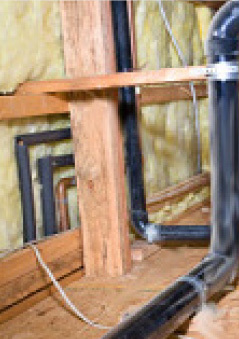 When choosing insulation, we contemplate the R-value, which measures resistance to heat flow. The higher the R-value the better the insulation material is at reducing your energy consumption. Another important factor is where the insulation will go, the roof space is the easiest place to insulate and the most important in terms of saving money and energy plus sealing air leaks is next, followed by insulating the basement.